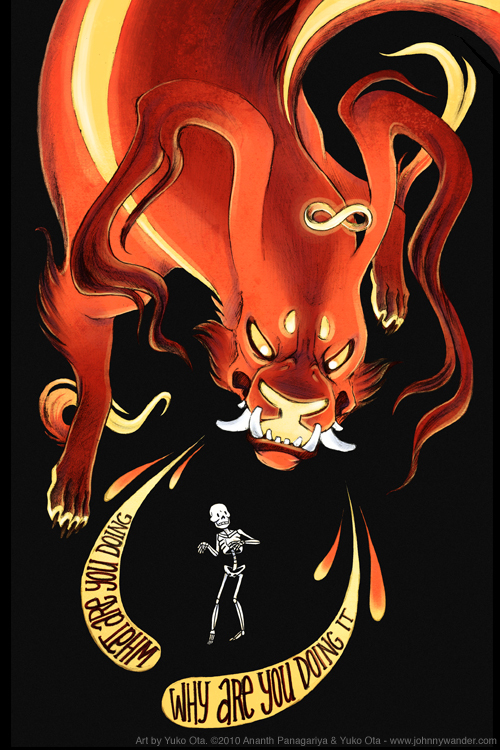 The title of this entry would be a suitable label for the frequency of my posts of late, as well as the significance of today’s date, the 29th of February. I originally intended to try to rush finish up part 2 of the Comic Fiesta Doujinshi Reviews that are long overdue (among other things in my life) just to make it for tonight, but then I didn’t want to compromise the length of the article for a self-imposed deadline so I figured that I should just type up something short and fresh that I’ve been meaning to share with you for a while now. During the past month and a half (somewhere after the Chinese New Year holidays up till now), I’ve been travelling quite a lot to attend social obligations (willingly, mind you) and somehow I ended up travelling to Batam, an island located in Indonesia. It’s just a stone’s throw away from Singapore (an hour’s ferry ride) which made for a nice weekend getaway for my colleagues and I. The gist of it was that I had a whale of a time thanks to my happy-go-lucky colleagues, but the highlight of the trip for me was my serendipitous discovery in a bookshop there. This! 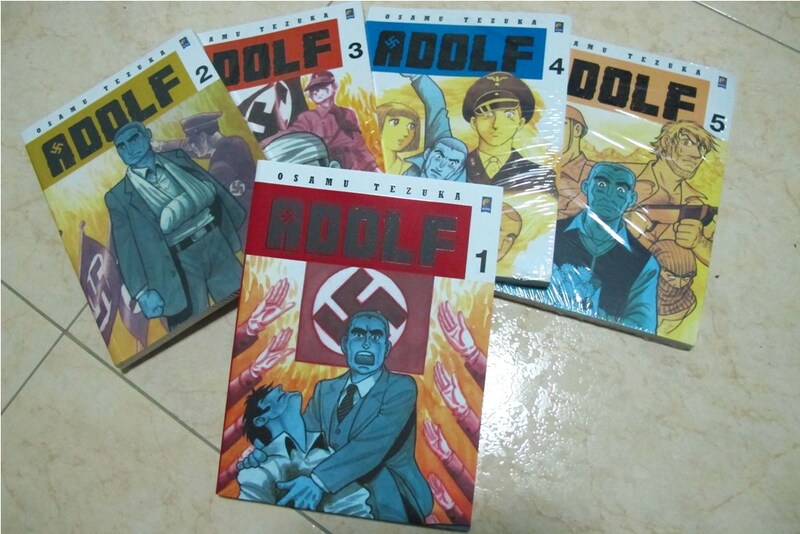 I’ve longed to read Adolf since I discovered its existence after reading The Art of Osamu Tezuka but the English editions are quite difficult to find (they were published almost 16 years ago by Viz). What you see above are the Indonesian editions of Adolf, printed by Kepustakaan Populer Gramedia, one of their local publishing houses. It’s been translated into Bahasa Indonesia of course, but I’m still slowly but surely making my way through the books! After all, apart of the meaning of certain words, the sentence structure of Bahasa Indonesia and Bahasa Malaysia are almost similar, so I guess I’m somewhat learning a new language as I’m reading this! Taking place before World War II, Adolf chronicles the story of three different individuals by the name of Adolf and how differently each of their lives play out. There’s loads of mysteries and rumours entwined into the story, which I am still trying to get my head around (hey, it’s in a somewhat foreign language to me!). At the bookstore where I purchased these, I was quite surprised to discover the sheer amount of different comics that are being officially translated and published for the Indonesian market. From bandes dessinees (European comics) like Lucky Luke to the latest shoujo or shonen manga (they even had Nurarihyon No Mago) , they have them all! Their editions are fairly thin though, thanks to the brown and thin recycled paper (I think?) that they’re printed on, but don’t let that deter you from grabbing them should you ever chance upon them as the printing quality is extremely good – clear till the last crosshatch. This pretty much justifies the prices of the books though, as they roughly cost about RM15 per copy. This made me reflect on the quality of comics that are currently being made and translated for the Malaysian market…and it pains me to say this but we still have a lot of catching up to do in terms of quality of content and the maturity of themes presented. Well, that’s all I have to share with you on this special day that only comes about once every 4 years. I hope that it’s been an enjoyable read though I’m writing this off the cuff while I edit some of the images I’ll be using in part 2 of my Comic Fiesta Doujinshi Review. Trust me, it’s shaping up pretty well and it’ll be done real soon, I promise! I hinted in my previous entry that I was currently working overseas and I thought I might as well put it out there: I’m in Singapore. It’s not that far away from home but well…distance does make the heart grow fonder. Now that that’s out of the way, let’s get down to the topic of this entry: Why do you draw comics? Have you already found your answer?